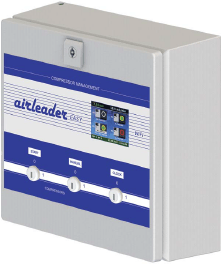 Airleader Master Control, with more than 10,000 installations, is a well established compressor management system. The web-based system provides worldwide access to all compressor data, cost information and charts. Airleader has been a great product for us to offer our customers. MPG has the most unique system with four variable displacement compressors out of the five compressors in operation being controlled by Airleader, and it has worked out great. The Airleader system is continuously used as a showpiece for us. This project is an example of how awareness of compressed air costs can act as a catalyst for change. The plant personnel acted on this knowledge by seeking help from compressed air service providers who could provide innovative solutions to their challenges. 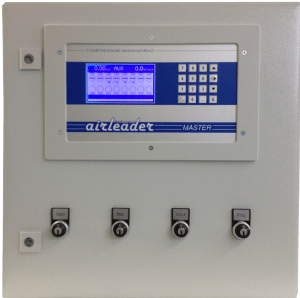 The Airleader control system not only increases the efficiency, but allows personnel to constantly check and correct the system to maintain optimum efficiency. Complete data access is available at any time and from any place via the internet using a graphic display format or via a tabular report. History can also be retrieved including consumption, pressure, and compressor status (load, idle operation, failure, standby, off, free air delivery of speed controlled compressors). The AIRLEADER is designed to continuously balance demand and supply, enabling the most efficient compressor combination to work at all times. A permanent consumption calculation ensures efficient operation of interconnected compressors at all times. 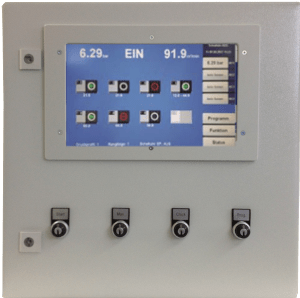 Unlike traditional control systems, crucial efficiency related parameters are visually displayed. This provides a transparent log of compressor station behavior and its ongoing efficiency. Display of true compressed air costs/day; load costs, idling costs; absolute cost transparency. System automatically issues service interval alerts.